LightHz Click is an accessory board in mikroBUS form factor. 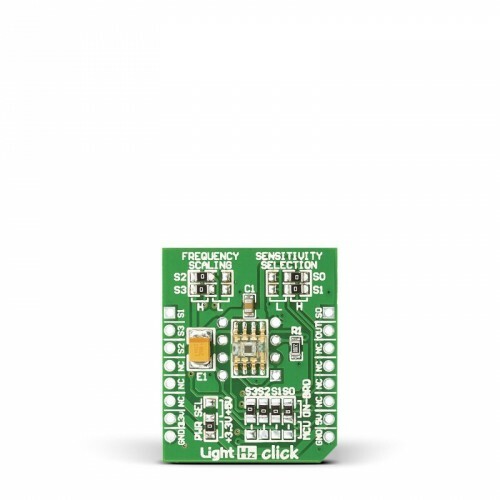 Board features TSL230BR programmable light-to-frequency converter. The output can be either a pulse train or a square wave (50% duty cycle) with frequency directly proportional to light intensity. Device sensitivity is selectable in three ranges, providing two decades of adjustment. The full-scale output frequency can be scaled by one of four preset values. 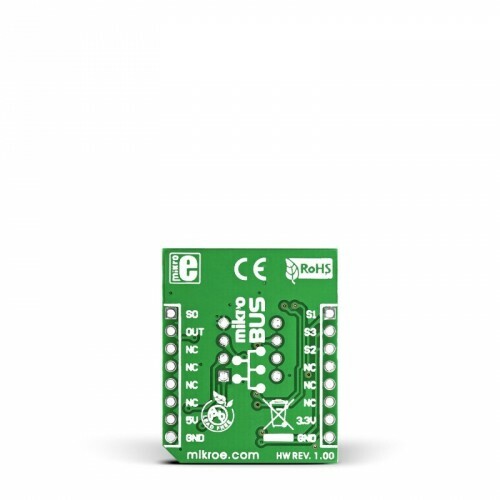 Board features voltage selection SMD jumper which determines whether it will operate on 5V or 3.3V power supply. 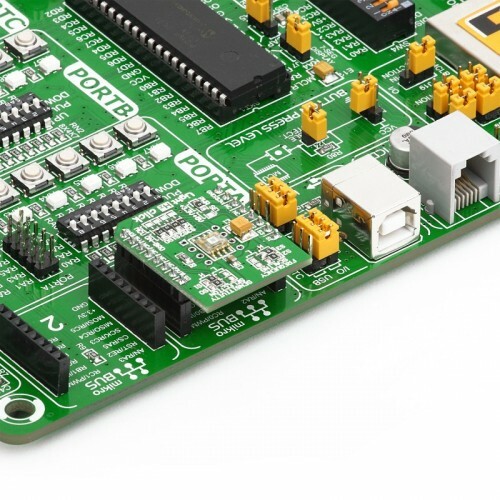 Applications Board is suitable for high-resolution conversion of light intensity to frequency with no external components. 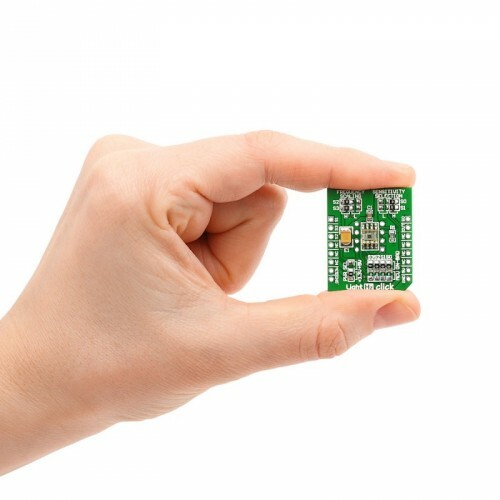 It has programmable sensitivity and full-scale output frequency. Key Benefits Temperature compensation for the ultraviolet-to-visible light range of 320 nm to 700 nm and respond over the light range of 320 nm to 1050 nm.